At long last, the Render Farm at the Naked Rabbit Mystery Studios has burned itself out bringing you the unavoidable spectacle of Cat Head Theatre – in 360 degree video! This is just a picture, real link below. You’ve no doubt heard of this newfangled amusement they call the “Three Hundred Sixty Degree Video.” It’s all the rage amongst the intelligentsia as well as today’s Youth. Thousands clamor over their “Smart Phones” and “Internet Devices” marveling at the Wonder of Our Age. Why not get in on the action yourself? 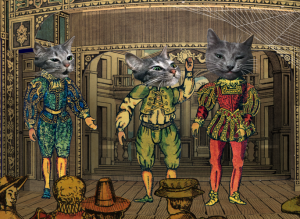 Here’s a link to the only entertainment that matters : talking Cat Heads doing Shakespeare. How did this happen you may ask? Are you curious as to the methods and practices that brought about such strange amusements? When the ever industrious and only somewhat evil D.W. Frydendall approached the Naked Rabbit World Power Foundation about making a 360 version of Cat Head Theatre, we threw vegetables at him and banished him from the premises. Much later, when we stopped to think about how he might be crying over the rejection, we realized that a 360 version of CHT was what the world had been waiting for. We sent an envoy bearing chocolates to the rotting Victorian mansion Mr. Frydendall lives in, but he was only greeted by a withered butler whose mouth was crudely sewn shut. Our apologies would have to wait for the moment. 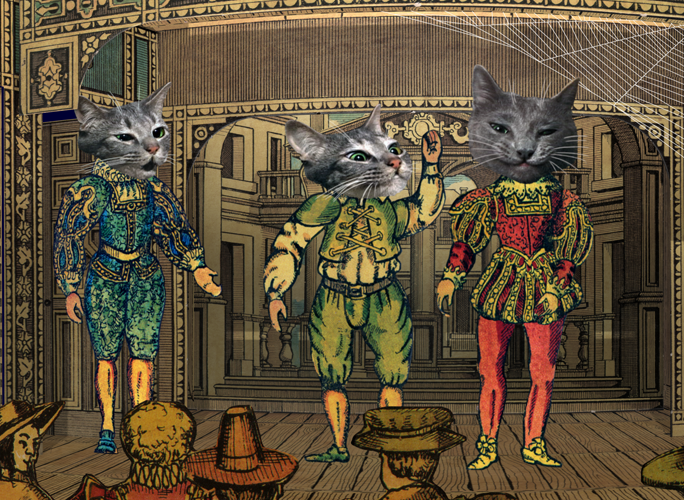 With some digital wizardry we discovered that the original After Effects files for “Cat Head Theatre,” which had possibly dated to the last century, could still be opened. 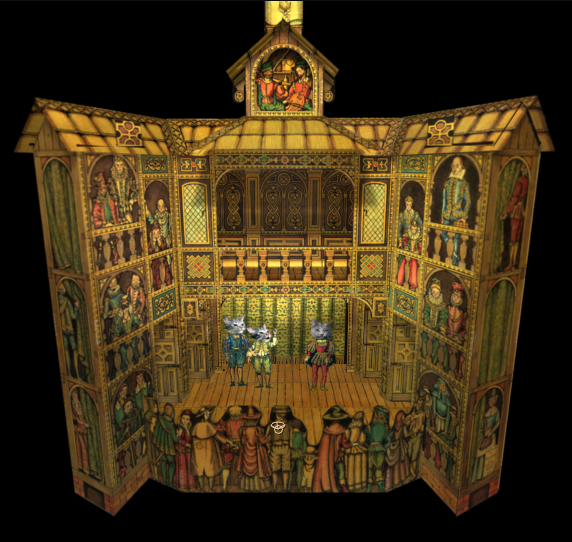 A new version of the theatre was created using the “2.5D” functions in After Effects, and a version of Mettle’s Skybox Plugin employed for the 360 process. 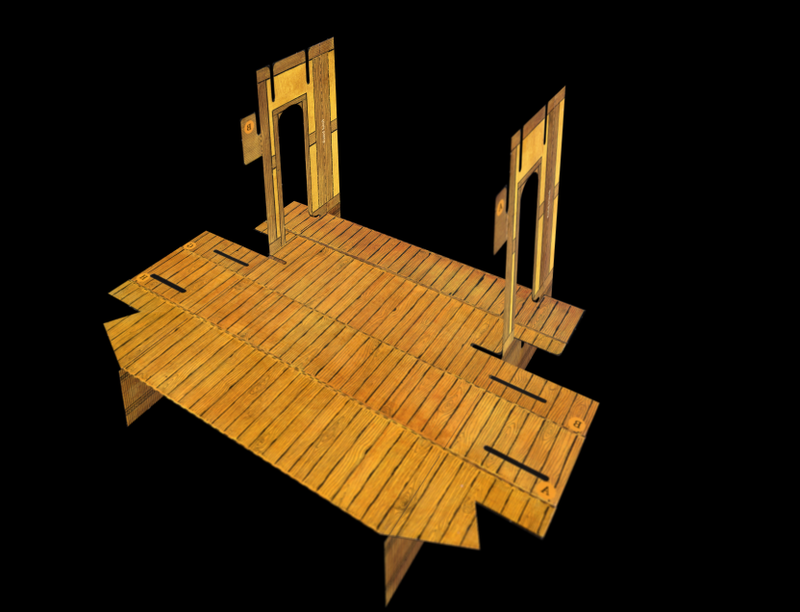 Due to an excess of enthusiasm, a render size of 20K was chosen, rather unwisely, it appears. This composition took over a week to render. Additional days were required to process the “cross” format 360 pictures into equirectangular pictures (requiring a pass through Photoshop), and even more days to cram a PNG version, sized down to 8K, into an MP4 file using the command-line version of ffmpeg. The resultant video file was set aside while the sound was recut and remixed in Pro Tools, using the ambisonics tools provided with the Facebook 360 Spatial Workstation. That tool was also used to generate the final output file, which was further doctored by the YouTube Spatial Metadata Injector. The final was uploaded, after everyone interested in the project had already died of old age.